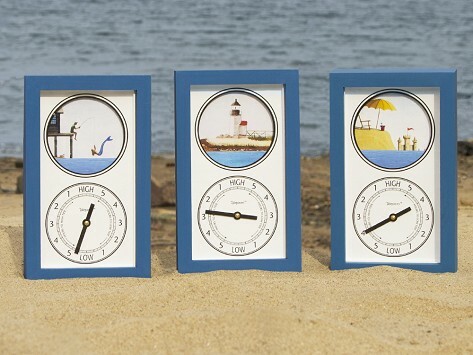 Dimensions: 11" x 6.5" x 2.5"
We love checking the tide on our tide clock. It's also a fun conversation piece when friends visit. I love it but I need to return it because the blue color does not match where I wanted to put it! I feel so bad! Tidepieces make a great gift for boaters, anglers, beachcombers and anyone who enjoys staying in tune with the tides. They’ll give any room an ocean view.